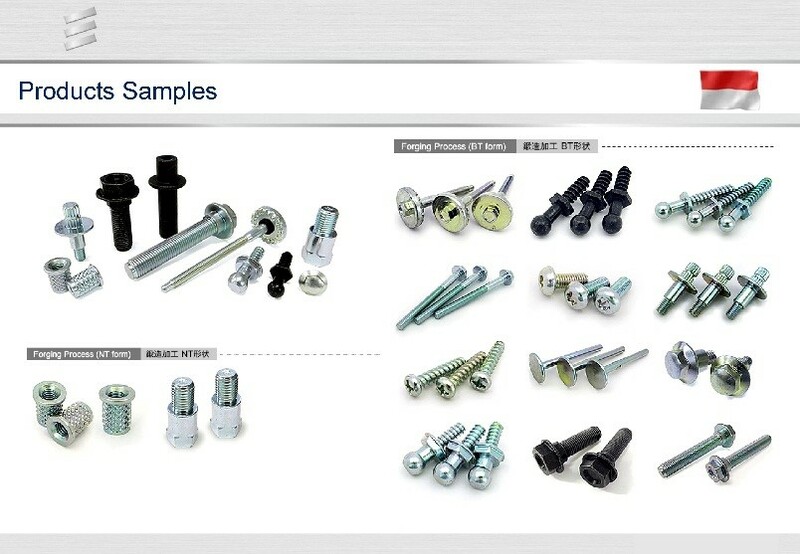 Under our concept, “Made by Japanese” we supply our products and offering various business solutions of fasteners for most of automotives manufactures is Asia Pacific region. 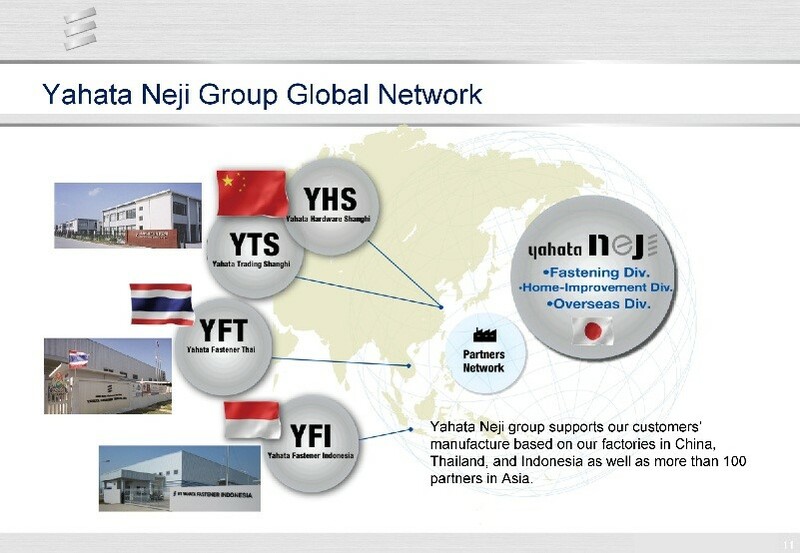 As the 3th overseas industrial plant of Yahata NEJI, Yahata Fastener Indonesia is established in June, 2011. We acquired the qualification of TS16949. From the cold forging to heat treatment, and plating, we have established a production line for the manufacture of metal parts, the operation of heat treatment has been started since January, 2012. “SANPO-ZEN” Tri-benefit aiming at happiness among our business Partner, Society and ourselves. Contribute to Society through our work, Bring happiness to all and Never act contrary to society’s rule. 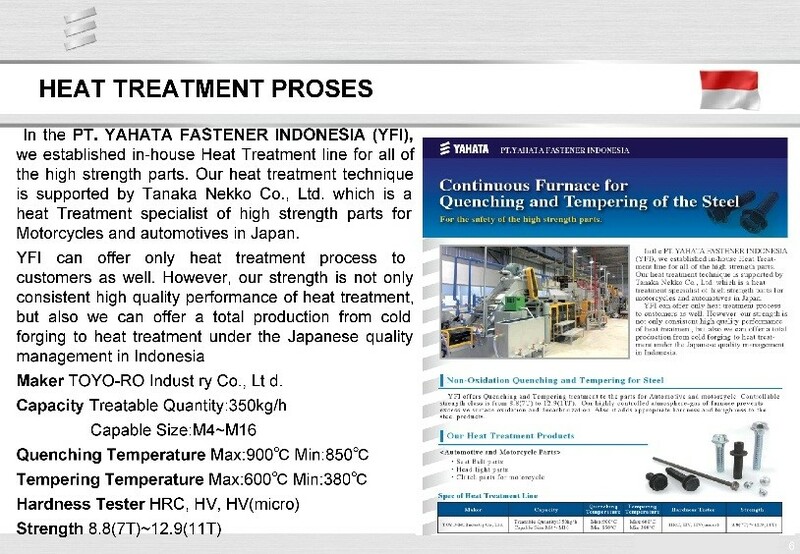 YFI can offer only heat treatment process to costumers as well. However, our strength in not only consistent high quality performance of heat treatment, but also we can offer a total production from cold forging to heat treatment under the Japanese quality management in Indonesia.